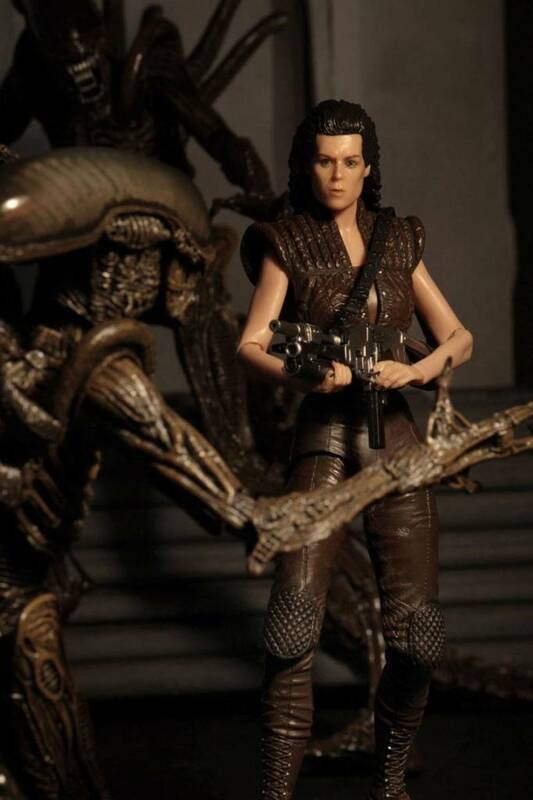 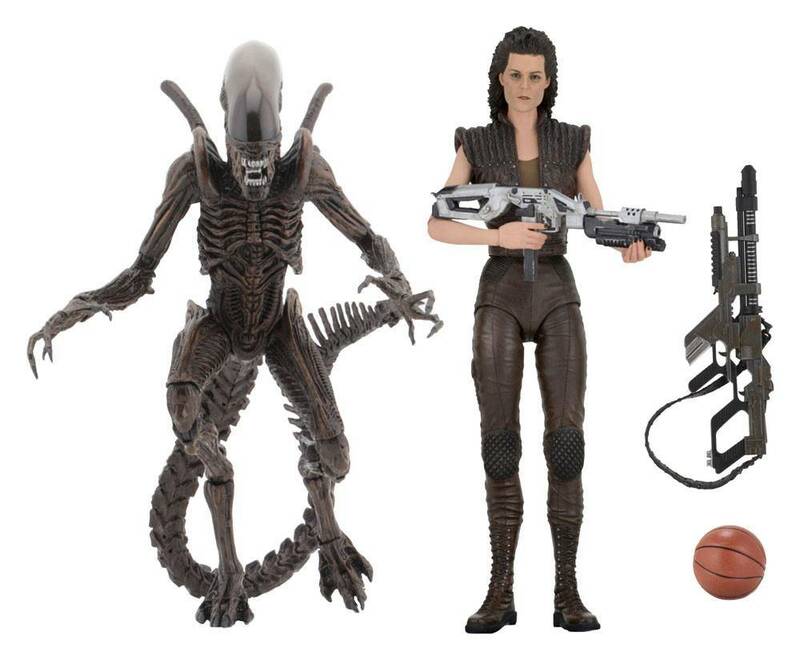 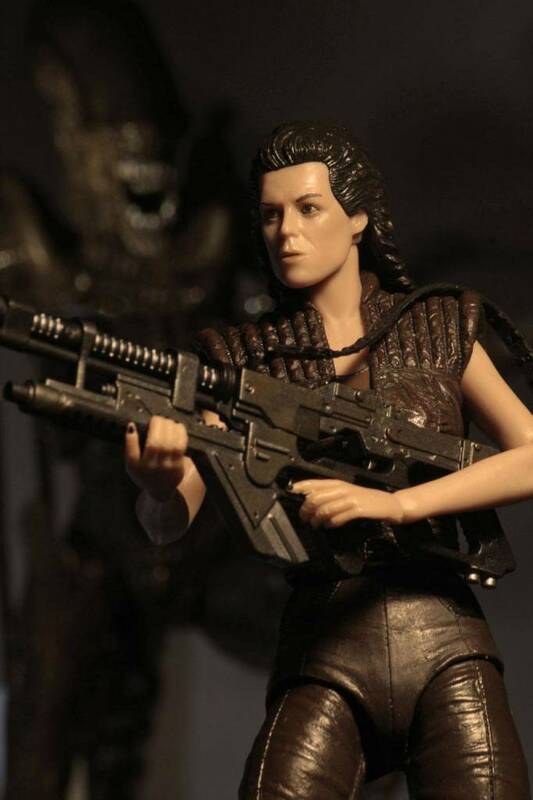 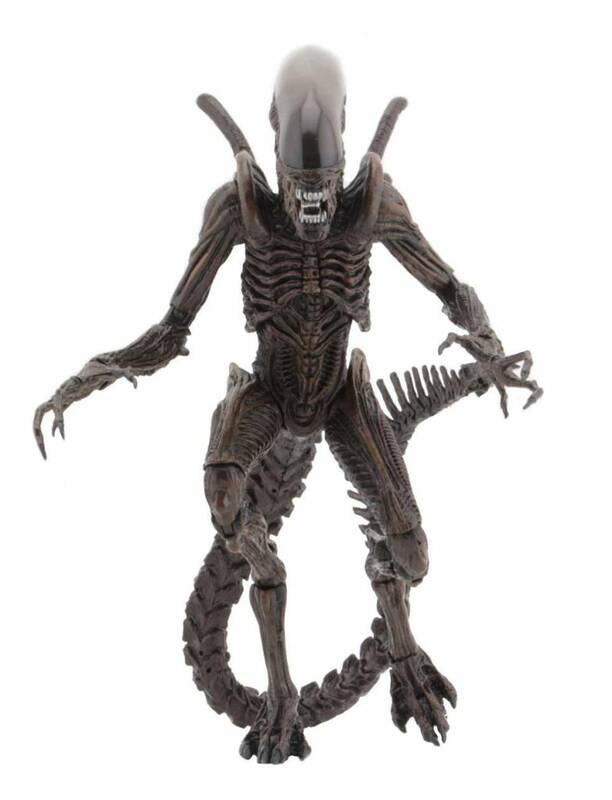 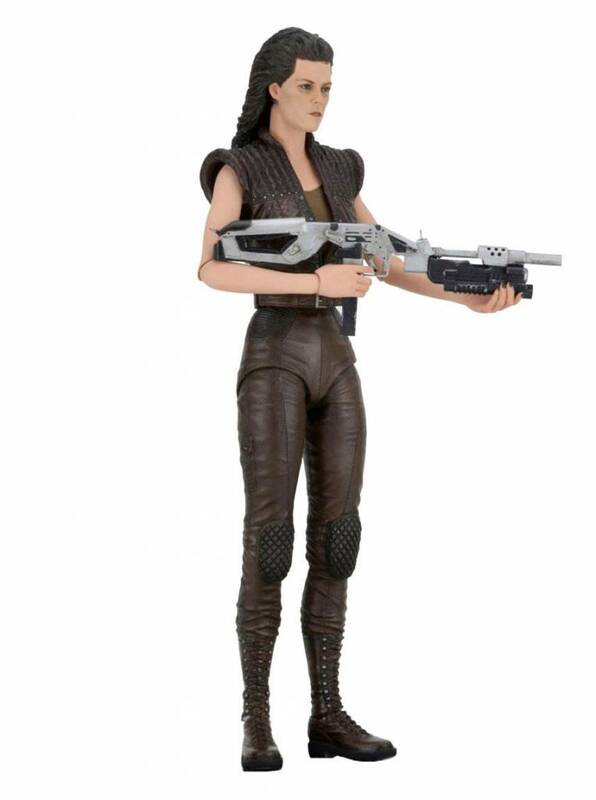 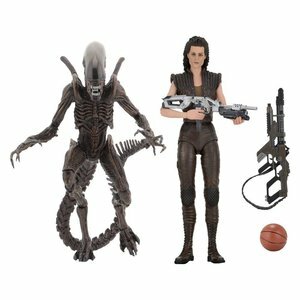 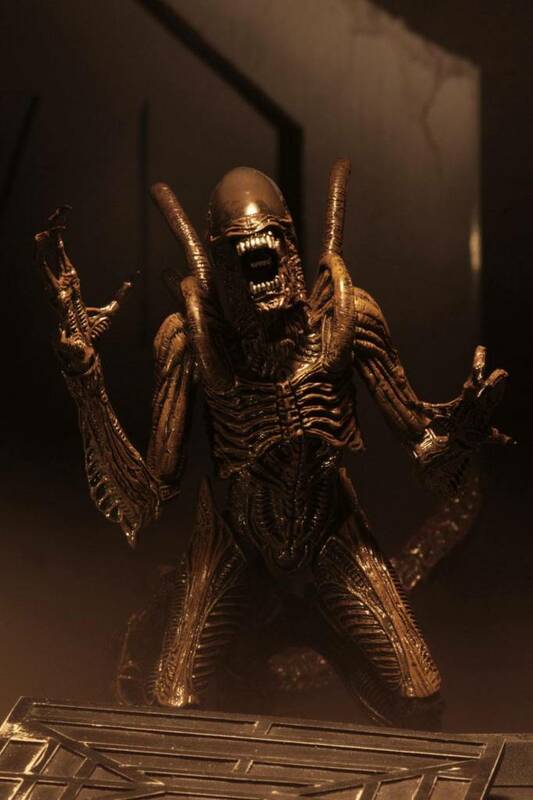 Ellen Ripley Clone 8 stands approximately 18 cm tall, has over 25 points of articulation and features the likeness of Sigourney Weaver. 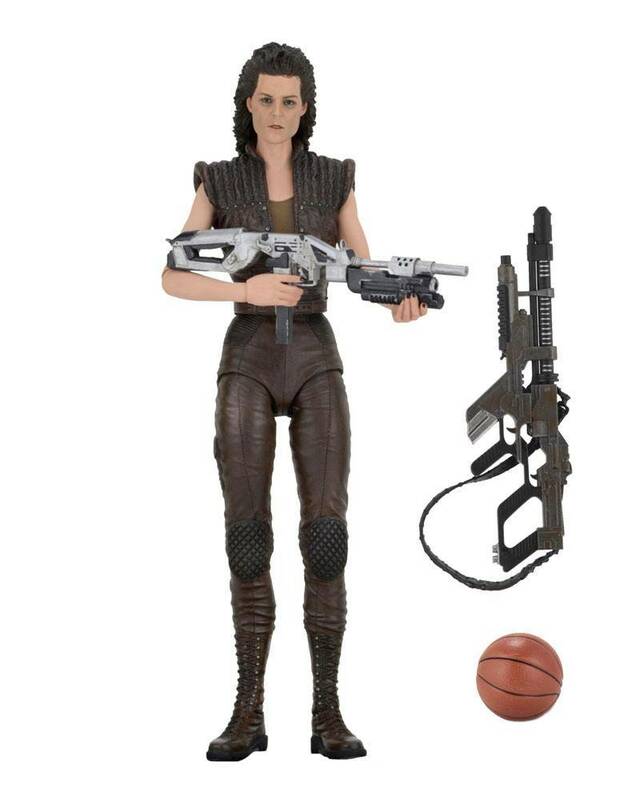 She wears the clone's futuristic ensemble and comes with Draco Double Burner and Lacrima 99 Shockrifle accessories, plus interchangeable hands and a basketball. 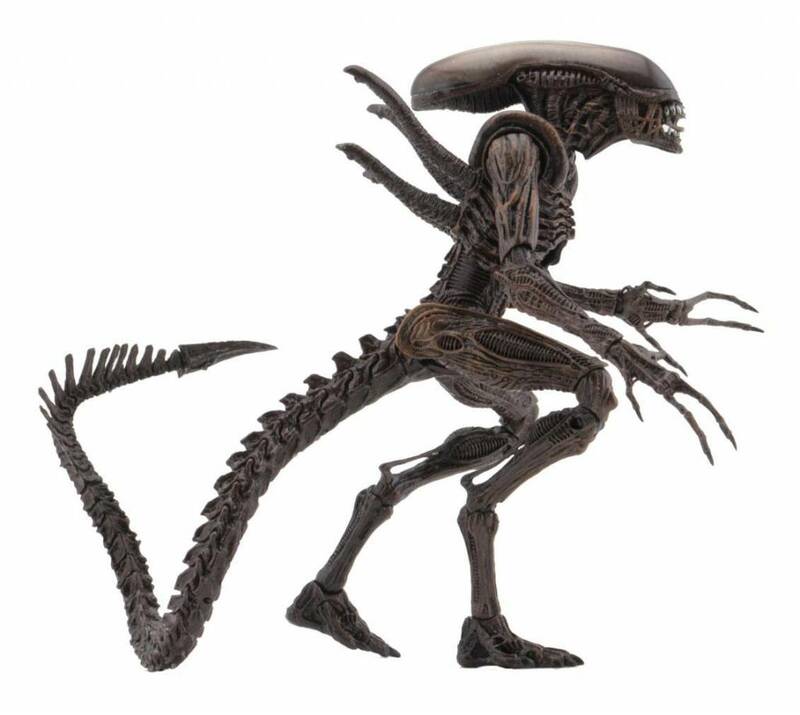 The Resurrection Warrior stands over 9" tall and is faithful to the Alien's appearance in the movie. 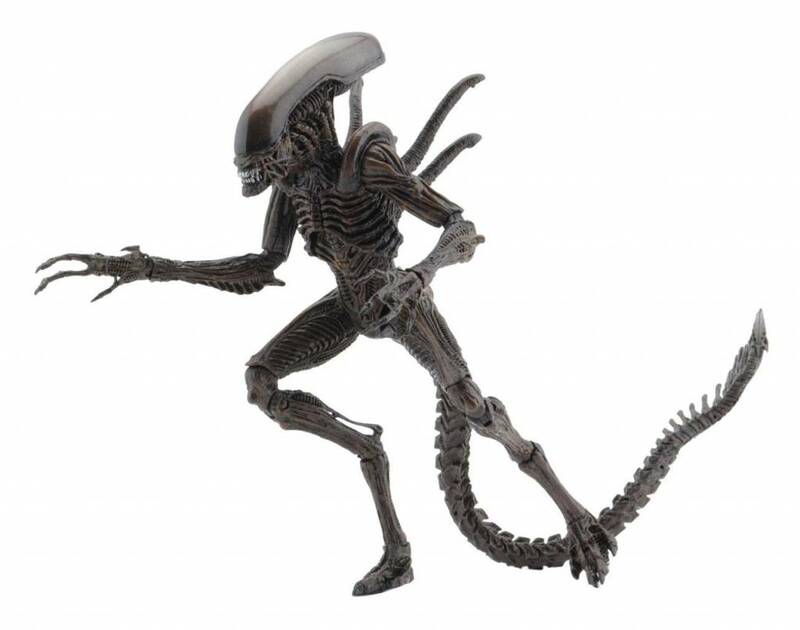 It features over 30 points of articulation, including a tail assembly which provides an additional swivel as well as having a bendable portion.